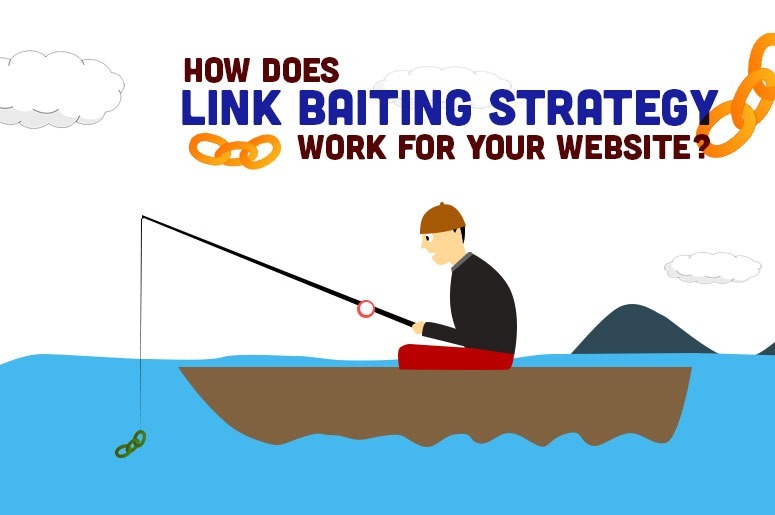 How Does Link Baiting Strategy Work for Your Website? Link baiting is the content on your website that has been linked by another site. Not because you ask them to but because they just want to. Hence, whether it’s a blog post, eBook, or a viral video, the linkable asset comes in many forms. Moreover, it is one of the most powerful tactics that help encourage users to share your link. But in contrary to common belief, you do not have to wait long to employ link baiting strategy. Yes, by using different types of innovative link baiting strategy in a short span, you can easily encourage your readers to share your link. Furthermore, link baiting would be one of your shot if you have the knowledge and talent to make it work. Now, there are heaps of link building techniques out there and if you are wondering which strategy is the best, then I guess this will help you out. When you say “creating link bait”, it means creating a compelling movement that will help stir the readers to think and link back to you for reference. Likewise, it is more than just writing and giving out pieces of information. But wait, it is more than just wit. It is the ability to tap into the emotional source of your readers and use that leverage to entice them to link to you. Well, usually knowledge works great in the field of link baiting. And if you know some things that other people do not, then, write about it and publish it. Put some humour and facts on it and get some catchy title. It’s an effective strategy to hook some eyes! But then, that is just a part of it. How you lay it out and how you artistically put words also needs talent. Well, you need to have both to make a good link bait. Now, to give you some of the link baiting strategies that will work well for your website, we have listed in this article the top techniques that will help you. Check this out! This link baiting strategy goes a long, long way especially if you keep on updating your infographics or other people’s infographic of your topic. Now, why does infographic attract heaps of backlinks? Well, it’s a fact that not all people love to read. Hence, most people prefer pictures or perhaps videos. Bet you, an attractive, beautifully designed and outlined infographic is more appealing than a long paragraph of words. Widgets are not easy to create as it is mostly a small program that users can mingle with. Usually, a good widget has valuable use such as a currency converter widget which can be embedded on any website so that it is up for grabs. Well, what people don’t know is that inside these widgets are pieces of code that will link back to the creator’s web page. Yes, it is not often that widgets are used for link bait as there are already plenty of them. However, if you are someone who has the capacity to create a useful widget of your own, it is pretty much well worth to try out. Running an online contest is not cheap. Hence, it doesn’t need to be too expensive either. Online contests are rampant nowadays and they are a good source of link bait. Let us say, for example, you tried to run a contest giving away some free SEO service software for the winners. And the only thing they need to do in order to win is to blog about why they want to win the software. Well, of course, they need to link back to the source of the contest and the sponsor of the software. Doing this will help you get some pretty good links. Yes, it didn’t cost that much, just a few efforts to haul in contestants and to contact the sponsor. Picking on the brains of the best minds in your field of expertise isn’t that easy. You will most probably have to email them one by one and wait for their reply. A good salesperson can entice you to get in touch with them even when they are not really offering you anything. It is indeed a great skill to have but only a few acquire it. Well, this skill is needed in order for you to compile a crowdsourcing link bait. Well, interviewing a very prominent person can get you lots of links especially if you tackle a really good question in that interview. Using interviews as a link baiting strategy is good. Because people who follow the person you interview will link you because they value the information they get from your interviews. In short, your circle of networks and followers got hooked up on that link bait that your interviewee worked for. Sounds great, eh? Giving out testimonials for a service or a blog is giving out some of your authority for that certain product. You’re putting your name at stake when you give out your testimonials for something. So, you better believe in the product that you are putting your name on. Otherwise, you’re done. Well, one good thing that can come out of giving your testimonial is that you most often get backlinks for it. Try to enrage about “SEO link building is dead” and see what happens. Heaps of dislikes, bashers and haters will surely flood your inbox and boost your website traffic instantly! But don’t forget the bounce rate too. With that statement, it could also drag you lots of comments but mostly hateful ones. Hence, in posting controversial content make sure it is something for the greater good. Well, this link baiting strategy hauls in traffic like no other especially if it is fresh news. Now, since we have talked about controversial content, here’s another way to get attention for yourself. Pick a fight with another blogger in the hope of tempting them and the others to bite back. Well, this approach gets a number of emerging bloggers on the map in the past month. But, just a friendly reminder mates, there can be significant fallout from the approach with this. Whether you want to build your reputation around or some other characteristic. Hence, if you are going to build a blog purely on snark, you need to be ready for the snark to come back to you and should realise that it is difficult to sustain. Now, you might be wondering if you still need to market your link bait considering that it is all about obtaining natural links. Well, here’s the thing! Marketing your link bait is important to achieve its success. In fact, whether it is sharing your content through appropriate channels, planting your links in the right message boards, is the initial steps you need to take a play to help discover your content. Think about your favourite YouTube videos or internet memes, would they have been such earth-shattering hits? And had they been simply published on an individual’s blog and left dormant? Bet you, it wasn’t! The lesson here is to put your best content where others will find it. Often times, this might mean publishing to your own blog or website and then sharing it to other outlets like YouTube, Instagram, Facebook, Twitter, Pinterest, etc. Likewise, make sure that your social media marketing post is as attractive as possible. Link baiting strategy is anything and everything that you create that garners link for your website. Also, note that you are not necessarily creating wonderful and awesome content to generate links. You are creating content because that is what industry thought leaders do. And if you are truly creating something great and markets it effectively, the links will undoubtedly come. Likewise, with great content comes great links. This entry was posted in SEO and tagged link baiting.